LOS ANGELES - Blu-ray stomped HD DVD to become the standard format for high-definition movie discs, but years may pass before it can claim victory over the good old DVD. Noemi Velazquez, a 44-year-old warehouse worker, can explain why. She took one look at the $399 price tag of a Blu-ray player at a Best Buy store in Glendale, Calif., and kept going. "I have to admit, Blu-ray is great," she said. "(But) I'm going to wait until they go to half-price." Analysts, movie studios and the Blu-ray Disc Association, a manufacturing group, all say Blu-ray discs will eventually dominate video sales. The question is when. Consumers are balking at the $300-plus cost of most Blu-ray players especially because only limited movie titles are available in the format. "People aren't going to pay three times as much for a platform that's only half-baked," said Steve Wilson, a consumer electronics analyst with ABI Research. Many also are waiting to see how cable, satellite and online video services play out. But, above all, consumers seem satisfied with standard-definition DVDs and players - even consumers who upgrade to high-definition TVs that can tap into Blu-ray's sharper picture and clearer sound. Velazquez said that because she was still paying off a $1,000 high-definition TV she bought in October, she was happy for now to keep watching pay-TV movies and standard-definition DVDs on it. Sony Corp.-backed Blu-ray was crowned the next-generation video technology in February after Toshiba Corp., creator of the competing HD DVD format, abruptly said it would drop the fight. The move came after Warner Bros. decided to join most other studios by going solely with Blu-ray and video rental chains followed suit. Manufacturers are planning a souped-up lineup of titles and special features on Blu-ray discs to boost sales this summer and during the coming Christmas season in the hope that Blu-ray can turn around the sagging home video market. And retailers are creating new displays to explain Blu-ray's benefits. U.S. consumer spending on home video rentals and purchases in all formats, including DVD, HD DVD, Blu-ray and VHS, fell 3 percent to $24.1 billion last year. The figure was expected to drop another 2 percent this year to $23.6 billion, despite a sixfold increase in Blu-ray disc spending to $1.3 billion, according to Adams Media Research. 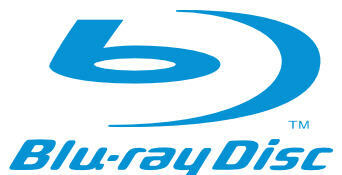 The Blu-ray increase is not enough to offset an expected 6 percent drop in overall spending on DVDs. Adams says it could take two more years for Blu-ray sales to put the home video market back on a growth path. "The group that bought $2,000, 40-inch TVs are the ones that will lead the charge," said Tom Adams, founder of the research firm. "Everyone else will come along when the price comes down." To jump-start the changeover, studios are beginning to release movies in Blu-ray with enhanced bonus features like picture-in-picture director commentary. The new bells and whistles are meant to entice consumers to plop down as much as $10 extra for a Blu-ray disc compared with a standard DVD. Blu-ray machine prices are starting to drop. Wal-Mart Stores Inc. began stocking a $298 Magnavox model in mid-May, said spokeswoman Melissa O'Brien. That's cheaper than most alternatives but a hefty price hike from a typical $50 DVD player. The format also faces sales challenges that DVDs did not when they took over from VHS in the late 1990s. It doesn't save any space compared with DVD, and there's no need to replace a DVD collection once you buy a Blu-ray player because it will play your old discs. There also is a proliferation of direct-to-home offerings appearing on cable, satellite and the Internet that threaten to stop Blu-ray growth in its tracks. Blu-ray backers say, however, consumers prefer physical copies of movies over virtual ones, especially when some online rental services impose a time limit. And Blu-ray's adoption curve is similar to - maybe even faster than - that of DVDs, backers say. Blu-ray players, now available for three years, cost $100 less than DVD players did at a comparable point in their life cycle, said Dorinda Marticorena, a senior vice president at Warner Home Video, a unit of Time Warner Inc.
"DVD was exactly the same thing. Players were expensive and there were not many titles. Lo and behold, the awareness went up and demand went up," said Andy Parsons, chairman of the association's U.S. promotion committee. "It'll happen in good time." Blu-ray still has a long, uphill climb. Last year, more than 101 million U.S. households could play DVDs, compared with 3.7 million that could play Blu-ray discs, including those with PlayStation 3 consoles, according to Adams. But that's double the 1.6 million DVD devices that were in U.S. households in 1998, the comparable second year they were available. By the end of 2008, 14.4 million U.S. households are expected to be Blu-ray compatible, compared with the 9.4 U.S. million households that could play DVDs in year three. Manufacturers and studios are preparing new offerings to take advantage of a feature known as BD Live, which allows access to enhanced Blu-ray bonus features over the Internet. It's available now on Sony's PlayStation 3 game consoles. Lions Gate Entertainment Corp. added a BD Live clip-sharing function on its horror flick "Saw IV" and plans to have "Rambo" director Sylvester Stallone conduct an interactive exchange with viewers about his director's cut. "It makes these discs almost alive," said Lions Gate President Steve Beeks. The Walt Disney Co. is set to rerelease the 1959 animated feature "Sleeping Beauty" in October in Blu-ray with chat, trivia and video-messaging functions, just as its rerelease of "Snow White" on DVD in 2000 introduced a then-revolutionary animated menu. "'Snow White' made the mass market wake up to the potential of DVD and helped demystify the technology," said Bob Chapek, president of Walt Disney Studios Home Entertainment Worldwide. "'Sleeping Beauty' on Blu-ray a decade later represents much the same thing."